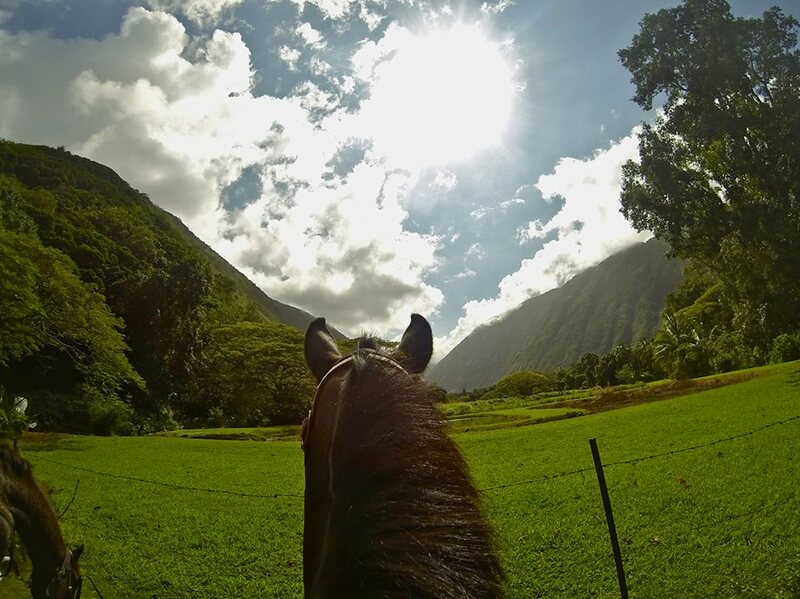 A beautifully clear day in the Waipio Valley seen from horseback is a fantastic way to experience this Big Island treasure. The Waipio Valley is located on the northern side of the island of Hawaii. It is edged by tall cliffs carved out by the river flowing down the mountain. The valley floor is fertile with volcanic sediment carried down by water. Frequent rain fall here helps to keep the area lush and growing.